YOUNGSTOWN, Ohio – While fads come and go, restaurants in our region are adapting their menus to changing tastes and diets while honoring the cuisines and consistency that keep their regular customers coming back. Long-standing Italian restaurants like La Rocca’s Pizza and Pasta in Poland and Scarsella’s Restaurant in Youngstown rely on tradition but also incorporate the latest trends to bring in new customers. Other restaurants, such as BoneShakers at Timberlanes Complex in Salem, and Michael Alberini’s in Boardman, thrive on providing a variety of food and drink options as well as bringing fresh ideas to the business. 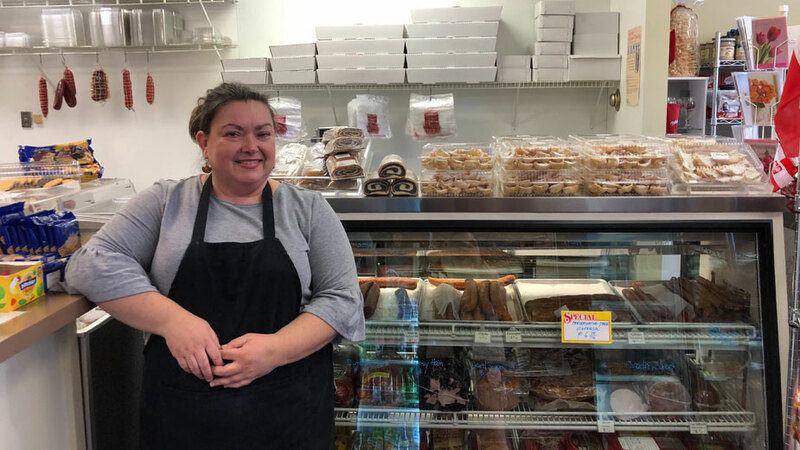 Marta Mazur, owner of Krakus Polish Deli and Bakery in Boardman, accommodates the tastes of her multicultural customers by offering a wide range of traditional Polish food, recipes and ingredients while constantly trying new things, she says. Mazur is always creating new flavors of pierogi and sampling multicultural foods. While they don’t always stick with customers, it’s important to appeal to all types of people, she says. A recent concern among her customers is the need for gluten-free food, Mazur adds. Marta Mazur has introduced dishes like haluski and stuffed cabbage to the Krakus menu. A recent survey by the National Restaurant Association found 55% of fine-dining restaurants are making changes to their menu and 55% of family-dining operators are planning to add healthier menu items. As more customers request gluten-free options, La Rocca’s owner, Anna Ficorilli, says she does what she can to accommodate the next generation of parents and young customers who request such items. For the past 27 years, La Rocca’s traditional Italian fare has kept the business strong, she says. The signature sauce paired with lasagna and spaghetti and meatballs is what she says brings back regular customers every week. La Rocca’s also offers homemade pies and bread, fresh salads and wedding soup, which Ficorilli raves is “really great” and a popular choice. Homemade pastas and a strong family tradition has kept customers coming back to Scarsella’s since 1957, says owner and head chef, Sean Kushma. But as new trends hit the culinary industry, Kushma takes those ideas to create his own dishes. 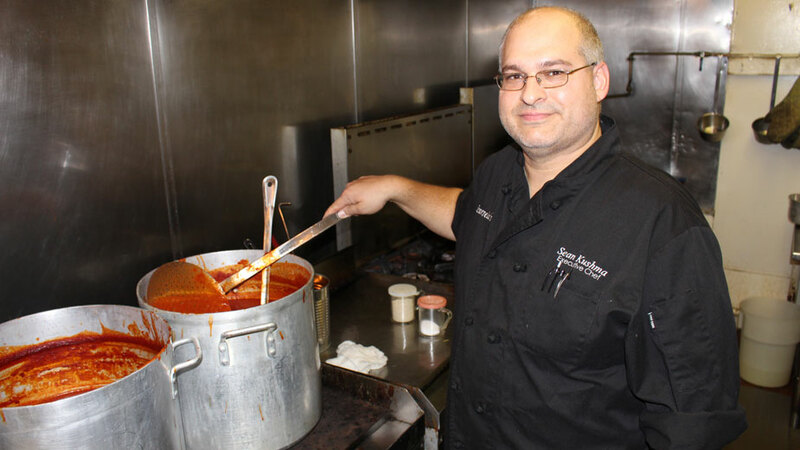 Pictured: Scarsella’s owner Sean Kushma created a Bolognese sauce, a first at the restaurant. Every few months, Scarsella’s will introduce a new special and will add it to the menu if it proves popular. Kushma is preparing for the holidays with a special menu and offering takeout for holiday parties. Ultimately, it’s the classic homemade food that customers love and are dedicated to, he says. The holidays are “our time to shine,” says Michael Alberini, owner of Michael Alberini’s in Boardman. As banquet halls and restaurants book parties and events, his restaurant is busier during the winter months than during the summer, he says. Alberini says he enjoys adding variety and interesting choices to his menu, and is happy to see his customers trying new items, including certified angus beef, Kobe wagyu from Japan and American wagyu. “People are getting adventurous and trying new things. We do a wild boar and pork belly,” he says. Known for its extensive wine list, Michael Alberini’s menu offers descriptions for each variety. 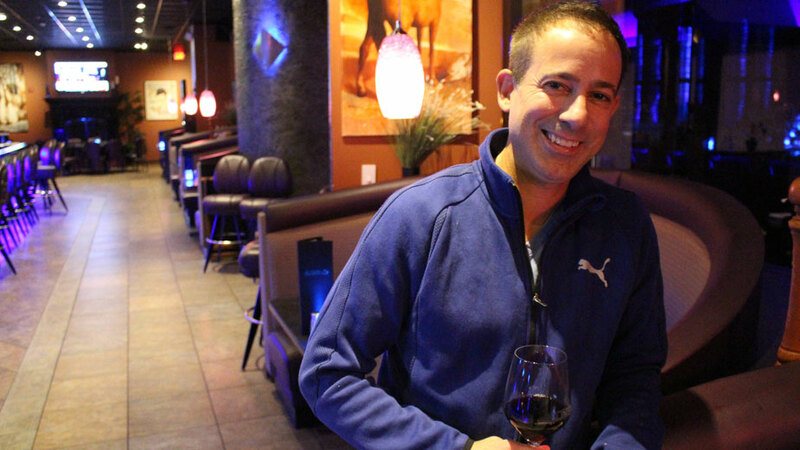 Pictured: Michael Alberini, owner of Michael Alberini’s in Boardman. Jackie Boder, hotel manager at The Stables Inn and Suites and BoneShakers Restaurant, says being a full-service business maintains a steady crowd during weeks and weekends. Offering a variety of features – BoneShakers is one of the only places in Salem to offer sushi – brings in regulars as well as new customers. With a ballroom that accommodates up to 500 people and a private dining room that holds up to 50, BoneShakers hosts a variety of events, from weddings to Christmas parties. BoneShakers took over the former Timberlanes restaurant in 2016, which sat vacant for seven years. It offers a more casual dining experience compared to the former restaurant, where “people would come in wearing suits and jackets all the time,” Boder says. Renovations to the restaurant’s front porch will be ready in time for the warmer weather next year and Boder continues to find ways to diversify the menu, including dishes that cater to keto and low-carb diets. Although restaurants like Alberini’s and BoneShakers enjoy their variety, they also both appreciate their roots and consistency. Alberini was inspired by his uncle, Richard Alberini, who taught him how to cook as a teen. Overall, great service is another vital part to any restaurant business and successful restaurants value its importance, he says.